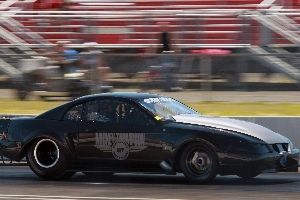 Kidkwik aka TJ Kasper blasted away the Outlaw 10.5 World Record October 6th at Cecil County Dragway. He ran a 4.115@188.28 along with numerous passes in the mid to low teens to back it up. TJ not only set the new Outlaw 10.5 record, he also won his class at Cecil and locked in the Season Championship – his 3rd Year in a Row!! Way to go TJ, Tom & Team!! !